A concise explanation of chords for those with no background in music theory. Understanding The Chords will teach you how to approach even the most complicated chords, or simply how to get more out of the ones you already play. I’ll start by pulling apart the easy ones. By the end of the book you’ll know how to find any chord you need. You’ll know where chords come from, and you’ll know where they belong. I’ll even show you how to improvise a solo that really works. 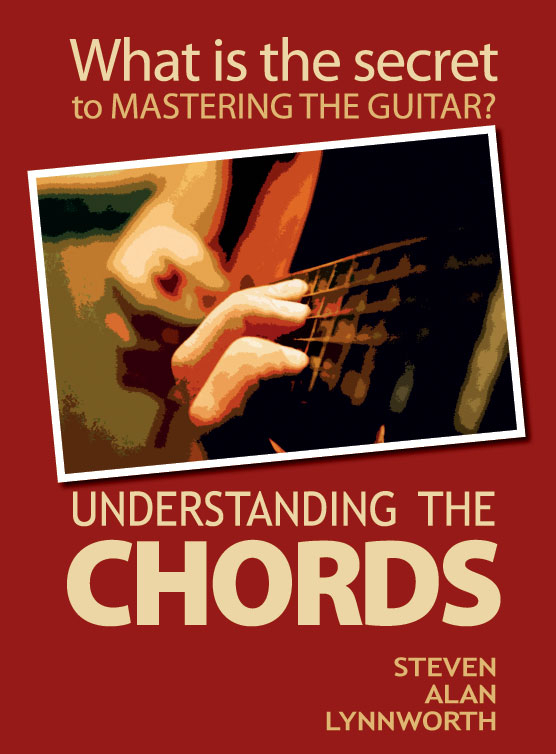 Understanding The Chords is 218 pages, packed with illustrations and clear explanation. It's printed on 8 1/2 x 11 heavyweight paper with laminated covers for durability, and spiral bound so it lays flat and stays open on your music stand. This book is written by a guitarist, for guitarists. This book is about music theory, but you don’t need to read music or play the piano to understand it. I promise you, there is absolutely no notation used in this book. Understanding The Chords is the key that will help you unlock the potential of your guitar. Understanding The Chords will make the difference between sounding like an amateur and sounding like a professional. Understanding The Chords will give you the confidence you need to PLAY. Frustrating book in some ways. I initially sought some increased enlightenment on chords and initially thought phew not another pattern book --> however initial thinking was deceptive and it is a well thought development program which guides the beginner and forces the more advance to stop and think about what is happening. As well as adding some very sound advice simply put. But patience will be needed. Pros: Great easy style from a great player! Absolute best guitar book I have ever owned. Easy to understand, well written with great graphics and easy to read. Written by a guy who teaches & plays and understands that not everyone is educated in music. I just ordered my 2nd copy for my nephew.